go2japan.org - What are Japanese churches doing? What are Japanese churches doing? 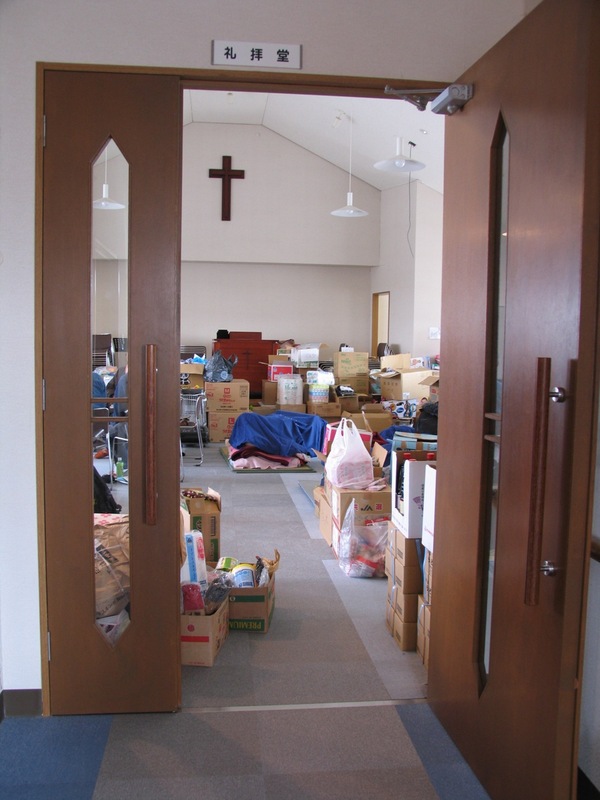 "We want to show people Jesus Christ's love"
SHIOGAMA, JAPAN (A2) - What are Japanese churches doing in response to the devastation brought by the earthquake and tsunami? That's what I went to Sendai with some colleagues to find out. Long after the story of the tsunami has faded away . . . when the media have left to cover other stories . . . after the 'compassion fatigue' has set in and people forget about the plight of thousands of Japanese . . . local churches will still be there—in the trenches—helping. Three Asian Access staff were invited to Sendai by pastors in our leadership development network. They wanted us to see the situation firsthand. Hopefully you've already heard Pastor Chida's impassioned plea for a "Tsunami of Love." Our team wanted to encourage our brothers, to bring some supplies and to tell their story without getting in their way. Since Asian Access is channeling relief funds through our network of Japanese churches, we wanted to see the kind of work they're doing. We are so proud of them. They are rising to the challenge. In the coming weeks, we hope to tell a few of their stories—stories that represent the larger work of God right now that you likely are not hearing reported. Shiogama Bible Baptist Church is a church we visited. The senior pastor, Rev. Yukikazu Otomo has been involved in Asian Access' leadership development ministry (JCGI Network) for quite some time. His son is Assistant Pastor Yukimasa Otomo, who is helping to head up the relief ministry of the church. In this brief video interview, Otomo Sensei (Jr.) shares that his desire is for the church to touch people's hearts by showing them the love of Jesus Christ. The church has mobilized 50+ volunteers, mostly young Japanese Christians. At night they sleep on the floor of the first floor of the church. Every day, these volunteers grab food & supplies from the second floor of the church (sanctuary) to deliver where needed. They also serve people by cleaning the mud out of their houses. These people are servants who are not seeking to promote themselves in any way, but who are simply trying to be Jesus' hands and feet. This exemplary church is not alone; hundreds of churches are helping in similar ways. During difficult times, the Church is often at her best. If you do not see a video player, you can view it here. Will you help to resource Japanese churches for the work of rebuilding lives and restoring hope? Let's honor our brothers and sisters by serving them and giving them the resources they need. Please continue to pray for God to use His Church to show Jesus Christ's love to the Japanese. Consider getting a relief team together from your church or school fellowship to serve in Japan this summer—right alongside of our Japanese brothers and sisters, members of His beloved Church.